Beautifully handknotted in pure New Zealand wool and cotton material in kashan design pattern. This carpet is a perfect example of Indian Carpets. 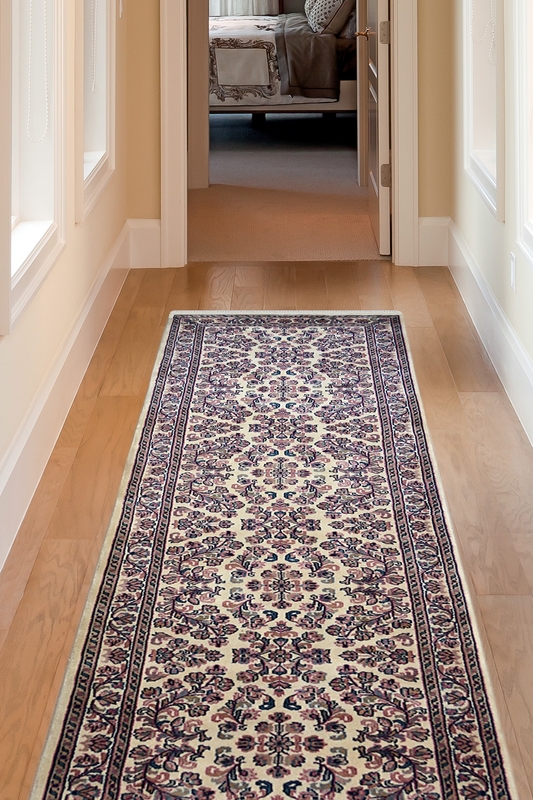 Flower Patti is highly durable carpet and ideal for the bedside or for the entryway of a home. Now joint your entryway and hallway with your living area and bedroom by placing this gorgeous runner which has 80cm x 284cm and give a unique look to your home. This Flower Patti rug is handknotted in pure New Zealand wool and finest quality of cotton material. It has a smooth and cozy touch. The ground of this carpet looks like the row of flowers. You will receive the same, exact Rug as seen in the image.